It’s almost time to head back to school! That means it is also time to make sure your school-aged child is getting what they need in reading instruction. According to the ASHA (American Speech-Language-Hearing Association), emergent literacy begins at birth and continues through the preschool years. Initially, pre-school children learn to rhyme and name letters of the alphabet. Then, the children combine what they know about speaking and listening with what they know about print and become ready to learn to read and write. Children who enter school with weaker verbal abilities are much more likely to experience difficulties learning literacy skills than those who do not. Phonological awareness – the recognition that words are made up of separate speech sounds, is strongly connected to early reading and writing. These skills typically develop in the preschool years as pre-reading skills. These include skills where the child begins to understand how words are made up of individual sounds. They also involve how those sounds can be manipulated and changed to create different words. It includes rhyming, alliteration, segmenting words into smaller units, and combining separate sounds into words. It also includes understanding that words are made up of sounds that can be represented by written letters. Children who perform well on sound awareness tasks become successful readers and writers. Kids who struggle with these kinds of exercise often do not. Children who require speech therapy are at a higher risk for reading problems later on in life. Developing strong phonological awareness skills in children with speech delays can be extremely helpful in learning to read. Even children without speech delays benefit from strong phonological awareness skills before formal instruction on reading. Research shows that there is a typical order that children learn phonological awareness skills. 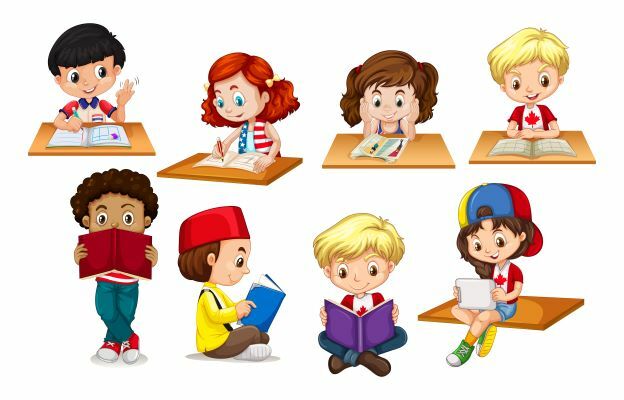 These nine skills in order are: Rhyming; Segmenting Words into Syllables; Syllable Blending; Alliteration; Identifying Final Sounds; Segmenting Words; Sound Blending; Manipulating Sounds in Words; and Letter Sound Correspondences. Speech-language pathologists have a key role in promoting the emergent literacy skills of all children. Emergent literacy instruction is most beneficial when it begins early in the preschool period. This is because these difficulties are persistent and often affect children’s further language and literacy learning throughout the school years. However, older children with speech and language impairments also will benefit from these skills that are essential to learning to read write. August, September and October are perfect months for early readers to work on phonological skills. SLPs often offer additional sessions to their patients where they work primarily on the nine phonemic awareness skills that are important for early readers. Pre-school and elementary school children who have delayed speech skills can benefit from sessions with a speech therapist that focus on phonemic awareness. It also benefits children who are showing signs of a learning disability or simply seem behind in reading skills. It is an important step in learning how to read. This is a great time of year to ask your Speech Therapist if they can incorporate extra sessions for 6 to 12 weeks so that your pre-school or elementary school child can strengthen their phonemic awareness skills which will eventually benefit their reading and writing ability. It’s a great way to maximize the “Back to School” feeling and give your child a head start!